Take your child on a mission to the International Space Station with ESA Astronaut Tim Peake! 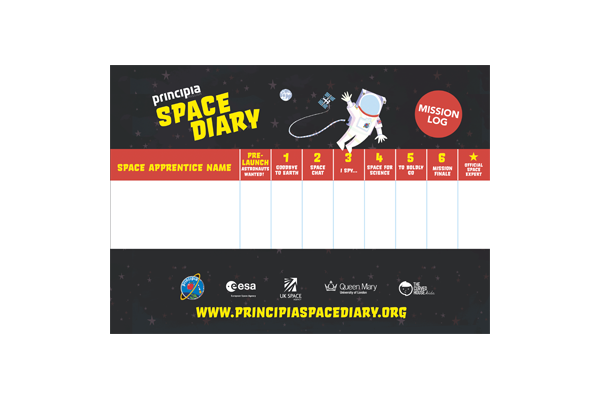 Perfect for upper KS1/lower KS2 (or equivalent) students, it follows Tim’s Principia mission, from astronaut training to conducting experiments aboard the ISS and observing Earth from space. 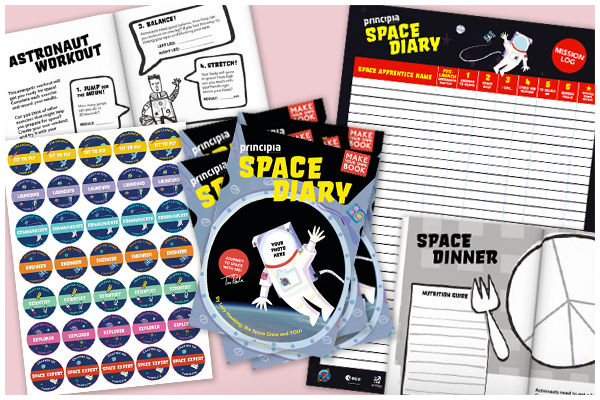 With over 60 hours of curriculum-linked STEM-literacy activities, the Space Diary is fully supported through its web-portal with teaching notes for each activity, curriculum guides for England, Northern Ireland, Scotland and Wales, ideas for differentiation, extension activities and more. 1 mission log poster for your child to record their progress. 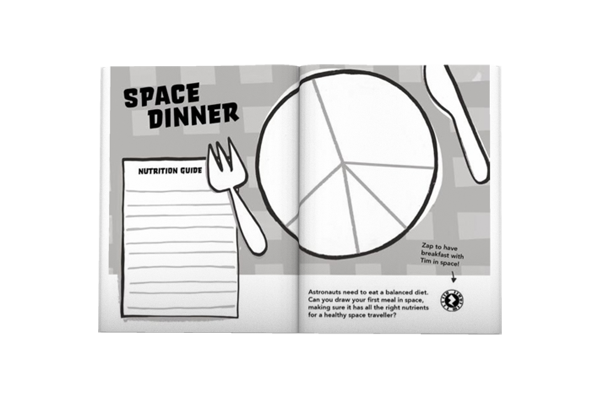 This 64-page activity book allows children to document what they learn and discover as they read, draw, experiment, code and decode their way through its seven chapters. 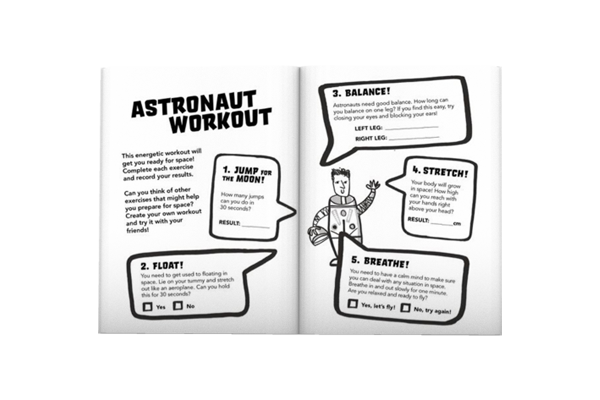 The book also contains unique ‘Zap’ codes that give children access to extra content through smartphones and tablets.